This design is based on two principles: transparency and the spectacular view. At the request of the customer all private rooms and work areas were visually connected. 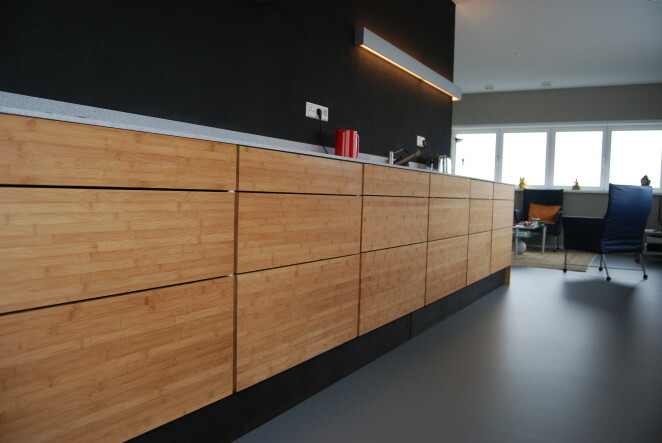 The sleek kitchen sports bamboo leaf fronts and Corian, to make it stand out. The frisky and cool design for this sky castle gave all rooms a grand view of old Amsterdam.